On your marks… get set… GO! The sandwich is dropped, it’s squished and squashed – but who will reach it first? Join Badger in his race for what used to be a very tasty sandwich! All the animals in the bushes have their greedy eyes fixed on it, waiting to pounce. There’s a silver squirrel, a cunning fox and a band of slimy slugs. 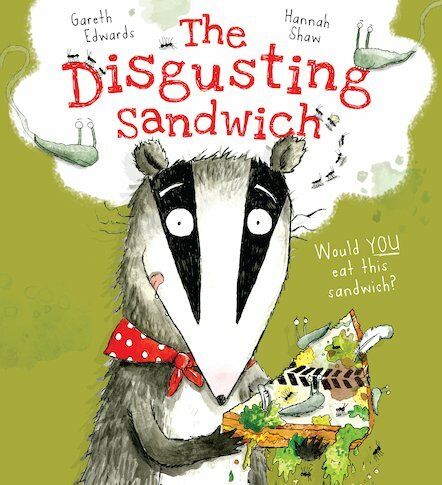 Will Badger ever get his paws on that disgusting sandwich? Or will he find something even yuckier to eat? A laugh-aloud picture book written by BBC producer Gareth Edwards. Hannah Shaw’s glorious pictures deserve a whopping slice of credit too.